LOS ANGELES – The Academy of Motion Picture Arts and Sciences has unveiled its fall programming lineup for both Los Angeles and New York. Edgar G. Ulmer’s “Detour” (1945) – September 17, 7:30 p.m.
With special guest Arianne Ulmer Cipes. Restored by the Academy Film Archive and The Film Foundation in collaboration with Cinémathèque Royale de Belgique, the Museum of Modern Art and the Cinémathèque Française. Restoration funding provided by the George Lucas Family Foundation. Women in Indie Animation – September 21, 7 p.m.
With filmmakers Signe Baumane, Emily Hubley, Candy Kugel and Debra Solomon. Moderated by Oscar®-winning producer Peggy Stern. “Food, Inc.” (2009) – September 24, 7:30 p.m.
With Oscar-nominated director Robert Kenner, Oscar-nominated producer Elise Pearlstein, film subject Carole Morison, chef Roy Choi, Food Forward founder and executive director Rick Nahmias. Moderated by chef, author and radio host Evan Kleiman. Presented in partnership with the International Documentary Association, Participant Media and River Road Entertainment. “Salesman” (1969) – September 27, 7:30 p.m.
With special guest Rebekah Maysles. Featuring a 35mm print restored by the Academy Film Archive and The Film Foundation, with funding provided by the George Lucas Family Foundation. Presented in partnership with the International Documentary Association. 4th Annual Careers in Film Summit – October 6, 9 a.m.-5 p.m.
Academy members and film professionals share their expertise on careers in the motion picture industry in this day-long series of panel discussions. “The War Room” (1993) 25th Anniversary – October 9, 7:30 p.m.
With Oscar-nominated directors Chris Hegedus and D.A. Pennebaker, and producers R.J. Cutler, Wendy Ettinger and Frazer Pennebaker. Additional panelists to be announced. 45th Student Academy Awards – October 11, 7 p.m. The winning student filmmakers will receive their medal placements – gold, silver, bronze – in seven award categories. Gold medal-winning films will be screened after the ceremony. An Evening with special effects artist Tom Savini – October 13, 7 p.m.
In-person appearance by producer, actor and special effects artist Tom Savini (“Dawn of The Dead”), featuring clips from his films and onstage conversation. Followed by a presentation of “From Dusk Till Dawn” (1996). “The Exorcist” (1973) 45th Anniversary – October 22, 7:30 p.m.
With Oscar-nominated director William Friedkin and Oscar-nominated actress Ellen Burstyn. 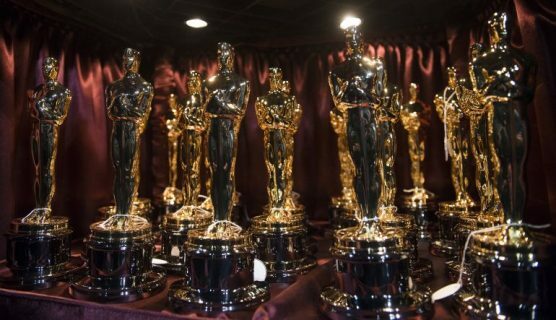 Academy Nicholl Fellowships in Screenwriting Awards & Live Read – November 8, 7:30 p.m.
An ensemble of actors (to be announced) will read selected scenes from the winning scripts. “The Barefoot Contessa” (1954) – November 16, 7 p.m.
With film critic and author Karina Longworth. “A Christmas Story” (1983) – December 10, 7:30 p.m.
A full event schedule and ticket information can be found here: www.oscars.org/fall-at-the-academy. Tickets for Los Angeles-based events are $5 for the general public and $3 for Academy members and students with a valid I.D. and will be available online at Oscars.org. Tickets to “Academy at Metrograph” events can be purchased via Metrograph’s website and are $15. Doors open one hour prior to each event. All ticketed seating is unreserved. For more information, visit Oscars.org or call 310-247-3600.